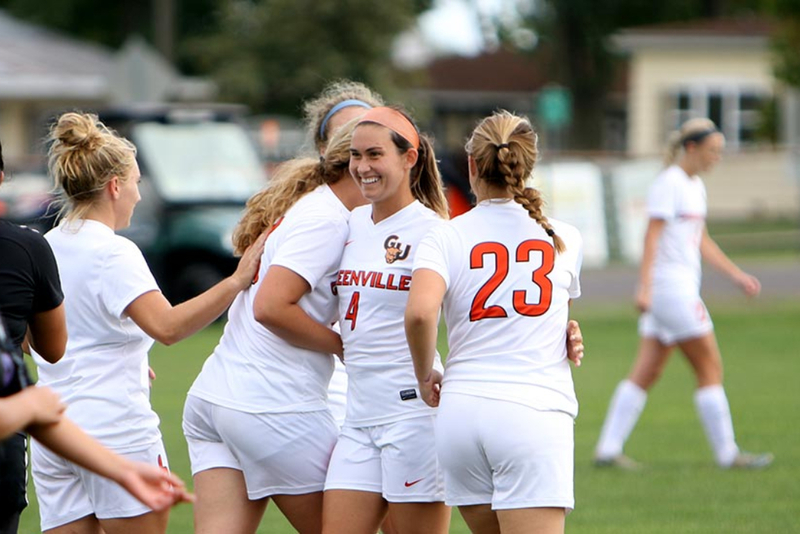 The Greenville University Women’s Soccer Team recently made it to the SLIAC championship game against Westminster College but ended up barely falling short of victory in a 2-3 double-overtime match. The team still had a very impressive conference season regardless of this post-season loss. The Lady Panthers ended their 2018 season with a conference record of 6-2-1. Their only losses came at the hands of Fontbonne and Webster University, and they ended in a tie after facing Westminster for the first time in the regular season. They were able to avenge their regular season loss to Webster, however, when they got to face them again in the semifinal game of the SLIAC tournament. The women won this one 2-1 in overtime and were able to earn a spot in the championship. 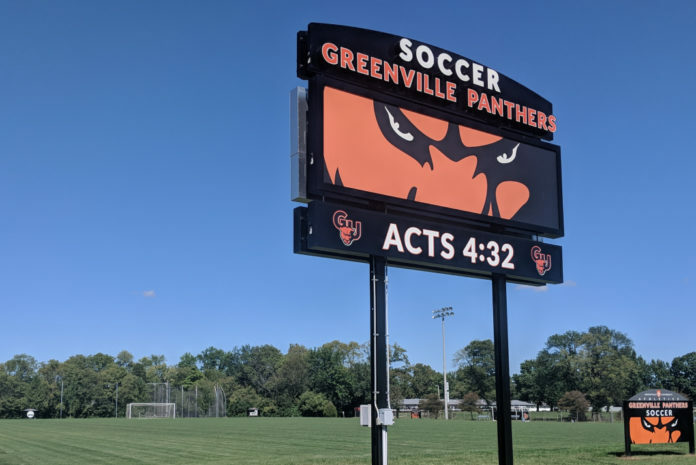 After falling to Westminster in the SLIAC championship, the Lady Panthers also lost the chance to do something no women’s soccer team from Greenville has ever gotten to do, which is to compete in the NCAA Division III tournament. To qualify for this placement, however, the team must win their conference tournament, so Westminster got the nod and ended up playing the number 1 seed and undefeated Washington University of St. Louis. Westminster lost in the first round 5-0. Lady Panthers in action during the SLIAC championship match. Source: athletics.greenville.edu. 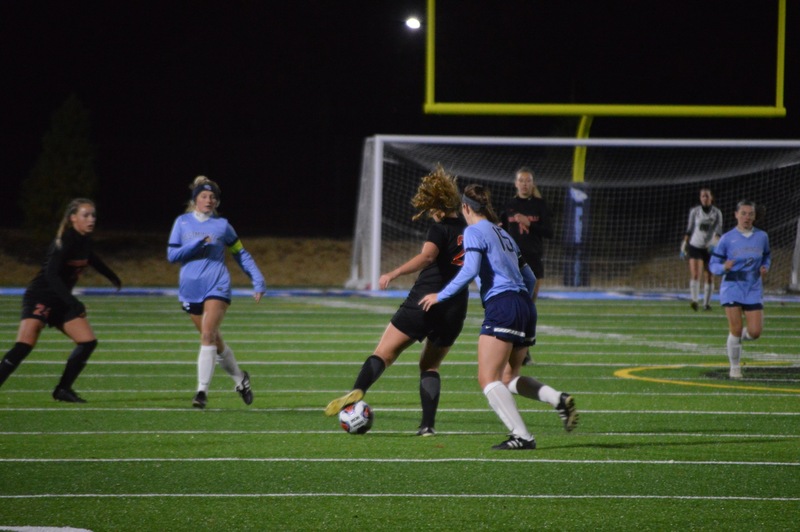 Although there were some difficulties faced while playing in the SLIAC tournament, there were also many positives taken away by the Greenville women’s team. The upset win over Webster in the first round was perhaps one of the greatest highlights of this season, as well as many seasons of the past because of the rivalry developed between the two teams. Greenville finally finding a way to bring them down was the sole reason Webster didn’t get a chance to win their 7th consecutive conference title, so this really says a lot about how much progress the team was able to make during this season. Other accomplishments include reaching the SLIAC championship for the first time since 2012, the most games won under head coach Jeff Wardlaw (14), and qualifying for the NCCAA postseason tournament. Dani Pearce (4) was the only Panther to receive First-Team honors from the SLIAC. Source: athletics.greenville.edu. The Lady Panthers were also lucky enough to have 7 of their players receive some kind of postseason honor from the SLIAC. Junior Caitlin McLoughlin was recognized with a spot on the All-Sportsmanship team. The team had three first time selections make the All-Conference third-team with junior Ellie Cummins and freshmen Brooklyn Haro and Maddison Zollinger. The two players selected for second-team honors were juniors Michelle Grotefendt and Breanna Thomas and the only Lady Panther to gain first-team honors was senior Dani Pearce. This was Pearce’s third time receiving first-team honors of her four seasons at Greenville, and Coach Wardlaw shared that all these were, “very well-deserved” on her part. She ended the season tied for second in goals with 16. Coach Wardlaw explained that even though his hope was to see a couple more players make it, he still said, “As a whole, I think it was a pretty good representation of how we played.” To check out the full list of All-Conference Selections, click here to visit the official SLIAC website. Amazing article , worth the read ! Very well written.